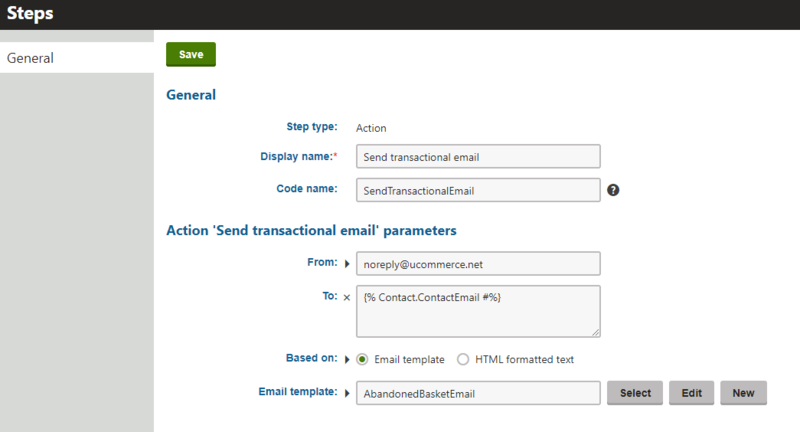 This article describes how to set up an abandoned basket e-email flow in Ucommerce for Kentico. Everything below is an example and can be customized depending on customer needs. The information below shows how to set up everything to work similarly to our demo store. Note! In order to be able to set up an automated abandoned basket process, it is required to have a license that enables EMS capabilities for the Kentico installation. 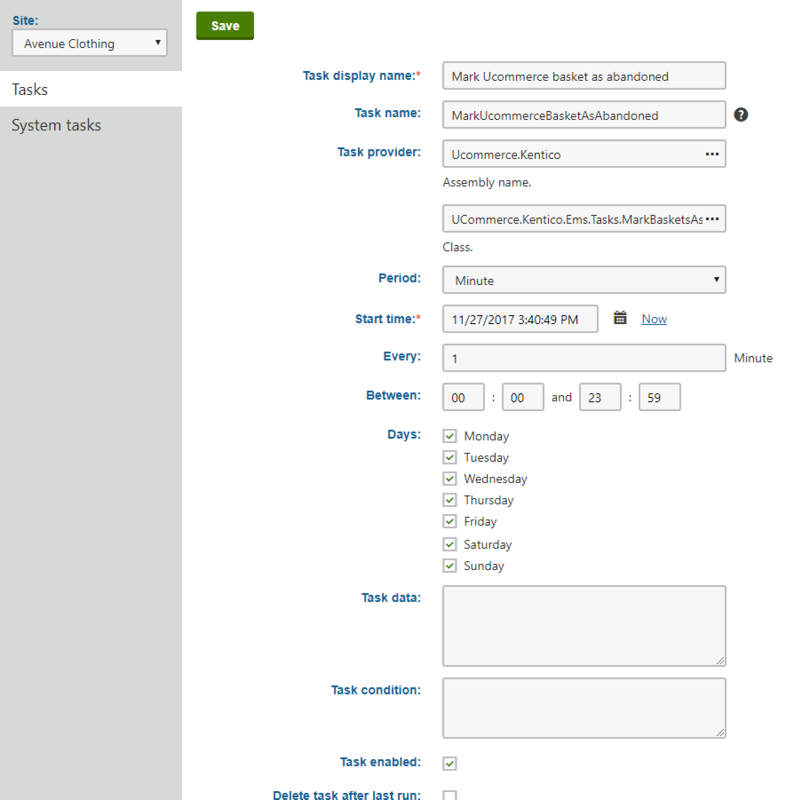 The first step is setting up a scheduled task inside Kentico's Scheduled tasks application. Generally, this task will be site-specific, by selecting a site from the drop-down menu in the left-hand menu. The task needs a descriptive Display Name and a Start time. ActivityValue, in this case, will be the GUID of our PurchaseOrder and the macro will return an IEnumerable of all the OrderLines in the basket for the contact. If the 'Mark shopping cart as abandoned after' setting is increased, there is a chance that abandoned basket emails that were once sent will be re-sent, as Ucommerce will re-evaluate them as being abandoned with the new time limit. The same goes for decreasing the time, some abandoned baskets might not invoke an e-mail. We advise only setting the setting once or being very mindful when changing it.